heat up kitchen appliance to 350ºF. gently spray a 9x9-inch pan with change of state spray. Cook rice per package directions. combine along rice, corn, 1/2 cup cheese and soup. Place in pan, high with remaining 1/2 cup cheese. Bake for 20-30 minutes, till cheese is dissolved and bubbly. 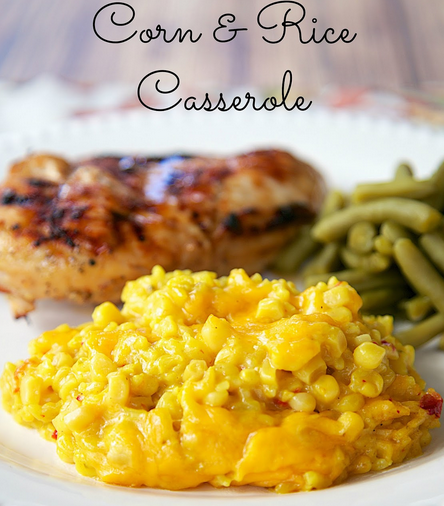 0 Response to "Corn & Rice Casserole"